WATERLOO, Iowa—Struggling to rebuild her credit, Alicia Damveld didn’t know where to turn for help. It’s been two years since Damveld and her husband, Patrick, moved their finances to the credit union, where they’ve encountered more financial coaching—and savings—than they thought possible. 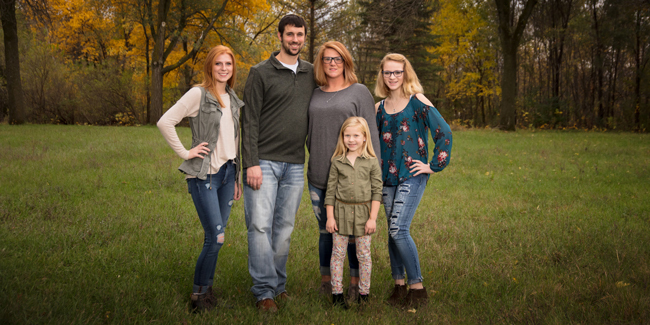 The credit union has helped the Waterloo couple consolidate credit card debt, rebuild credit and shave thousands of dollars of interest off auto loans—freeing up their budget to buy a camper to make family memories around the country. Related: What does a credit score mean to you? “Now I suggest Dupaco to a lot of people, because they’ve been able to help us so much,” Damveld says. When Dupaco’s Nikole Eudaley helped the Damvelds consolidate their credit card debt this spring, she noted the high interest rates they were paying on two auto loans. By bringing the loans to Dupaco, the couple saved a combined $27,000 in interest and shaved off two years of payments on each loan. Included in that savings: bumper-to-bumper warranties on both vehicles, which is something the couple didn’t have before. Related: Is debt consolidation right for you? Today, the Damvelds’ financial dreams feel more attainable.